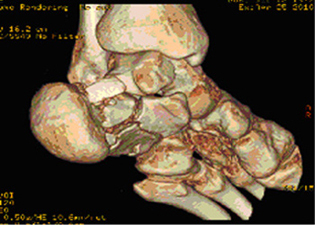 Fractures of the calcaneus (heel bone) are debilitating injuries which if left untreated lead to severe pain, arthritis and deformity. 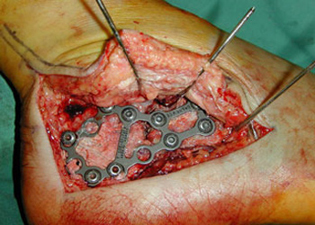 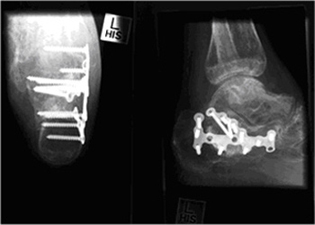 The ideal treatment is carefully planned surgery by repositioning all the bone fragments and restoring the joint surfaces with a plate and screws. 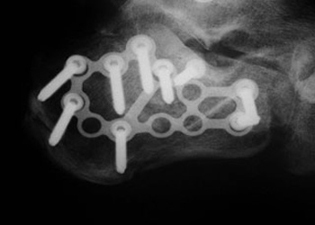 Although this is considered a technically challenging procedure the surgical team of the Victorian Orthopaedic Foot & Ankle Clinic has successfully treated more than 500 patients with this difficult problem. 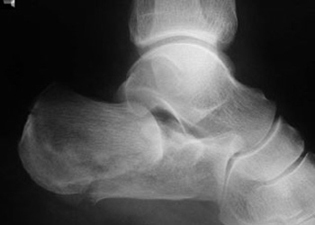 Pre-operative x-ray of a patient with a fractured calcaneus (heel bone).